Glo network is the easiest way to access the internet these days. Recently Glo launched its 4G LTE service in Nigeria and unconfirmed reports already spreading that they have expanded to more 8 cities yet, Glo subscribers are complaining that the Glo network is slow. So, how do we make Glo internet connection faster? Earlier this year, Airtel released a cheap internet data plan that offers 2GB for ₦200 and 6GB for ₦500 and like Glo cheap data plans, it is, unfortunately slow. Many Airtel and Glo customers who have subscribed to their internet bundles are seeking for how to make Glo internet connection faster. 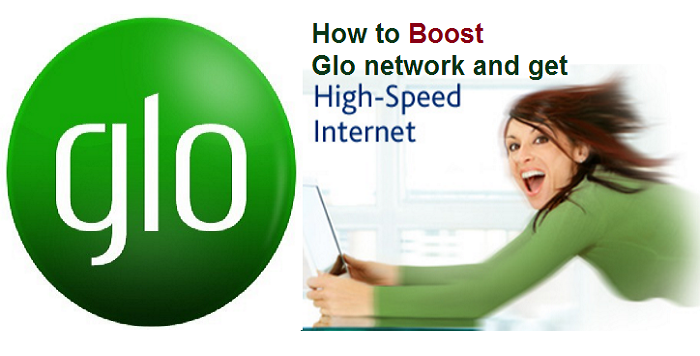 In this article, I will share with you two steps to increase the internet on Glo network. Glo 3G plus and 4G LTE, the services from Glo mobile, delivers HSDPA (High-Speed Downlink Packet Access) and 4G broadband high-speed internet to Glo subscribers with 3G/3.5G/4G-enabled phones. The HSDPA high-speed internet promises data transfer speed of up to 3.6 Mbps and up to 100 Mbps respectively but it seems something is not just right. To use Glo internet directly on PC totally annoying. On mobile devices, the mobile internet connections start getting sluggish no matter what you do and it creates lots of frustrations. Sometimes, if you want to update the status on Facebook, slow Glo internet connection won’t allow you to do so. To make your Glo internet faster, we will be looking at using both an android application and manipulating Glo Access point Name. So, if your Glo network is slow, follow the explanations below. 3G Booster pro is an android application that can be used to boost the 2G, 3G or 4G LTE internet connection up to 170%. This app is very useful to increase Glo internet connection and gain network speed, especially on your android device. Loaded with lots of powerful features, 3G Booster app delivers a stable mobile internet connectivity. 3G Booster Pro is a paid Android application. This means you will have to pay the developers to enjoy the premium features available on this app if you want to boost your Airtel 2G data plan to 3G speed. However, you can get 3G Booster pro app for free. We have already written on how to get Android paid apps for free so, visit here to download 3G Booster pro for free.